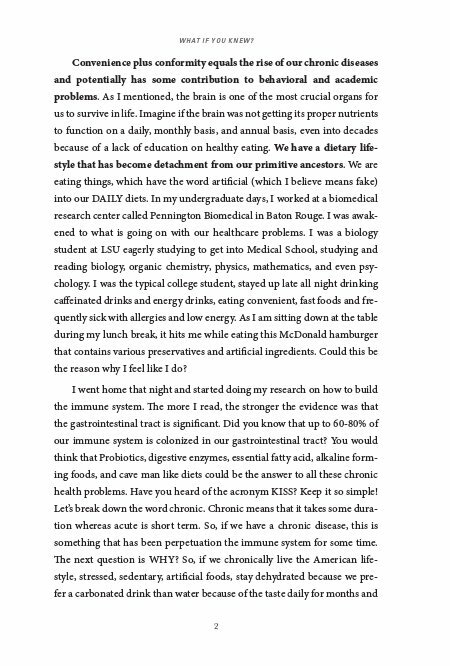 A Revolutionary Understanding to Regaining Your Health and Life Back. 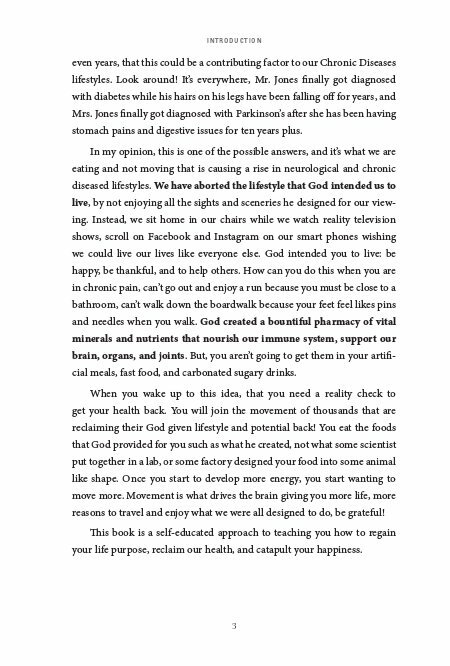 What If You Knew is a revolutionary approach aimed to teach people around the world how to regain their health and life. What If You Knew tries to present and highlight nutritionally significant information and offer suggestions for nutritional support, health maintenance, and personal goals. Dr. Kyle Daigle is an alternative healthcare practitioner. Dr. Daigle joined SNA Technologies in December 2014 as President, Chief Medical Officer, and Managing Director for SNA Global. 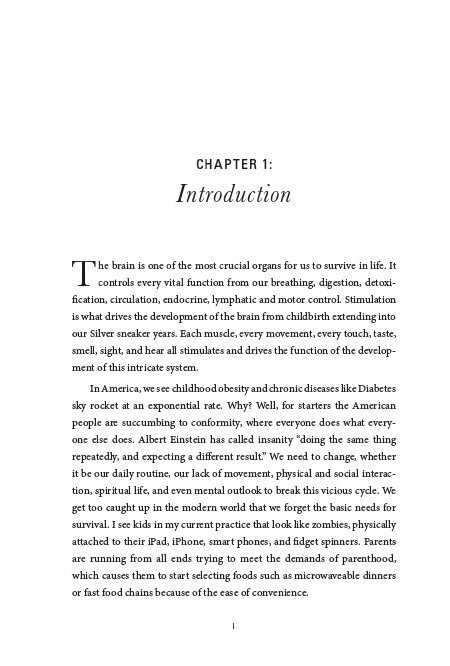 He is the co-inventor of U.S. Patent Pending Neurosage and has Intellectual Property with Systemic Neural Adaptation. Currently, Dr. Daigle owns and operates a successful clinical practice, Ultimate Performance Chiro & Rehab in Lake Charles, Louisiana. Dr. Daigle played college baseball at McNeese State University where he was a member of the 2006 Southland Conference Championship team. After leaving McNeese, Dr. Daigle continued his education at LSU where he studied Biological Science. While at LSU, Dr. Daigle worked as a research assistant in the Pennington Biomedical Research Center. Dr. Daigle is a current member of The International Association of Functional Neurology and Rehabilitation. Dr. Daigle is an Alumni of Parker University. While at Parker University, Dr. Daigle was the Nutrition Club President. 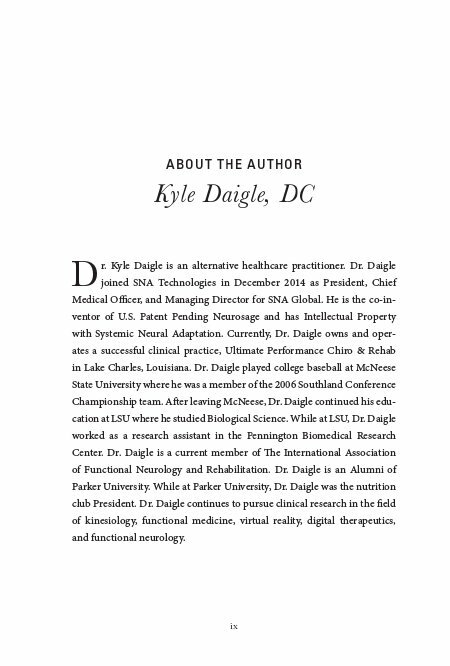 Dr. Daigle continues to pursue clinical research in the field of kinesiology, virtual reality, digital therapeutics, and functional neurology.